Expires in 1wk . Last validated 3wk ago . Used 6 times. Ramon This is an amazing deal that works as described. Just enter the promo code into the promotion code box to see the discount. Deyaneth González I am validating that this deal works as described. 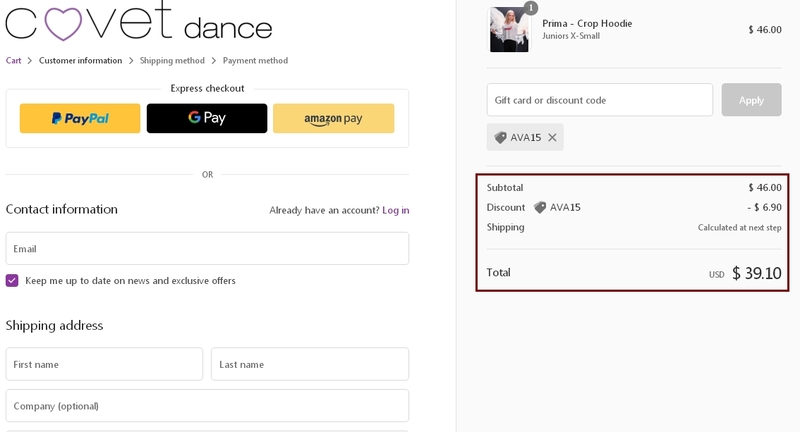 Just go to the online store, add the items you want to buy to the cart, copy and paste this code at the time of finalizing your purchase. Celina Andrade I am validating that this deal works as described. Get 15% Off Your Next Order at Covet Dance (Site-Wide).